Are you in the market for a new thermostat or perhaps you have decided that you want to modernise and get yourself one of these new “fangled” smart thermostats? The only problem is that you have started looking and the choice baffles you and you can’t understand what most of the features and specifications really mean. Well in this guide I am going to list and explain twelve of the most important features that any smart thermostat should have. Also at the end of this article is an infographic which contains the most important information from this article. Download it and use it to help you find your next smart thermostat. Hopefully, it will make your search a little easier and less painful. A smart thermostat isn’t very smart unless it can be controlled remotely via an app or online account. Remote access means that you can use your iPhone, iPad and Android device to connect with and control your thermostat wherever you are- even if you are thousands of miles away. 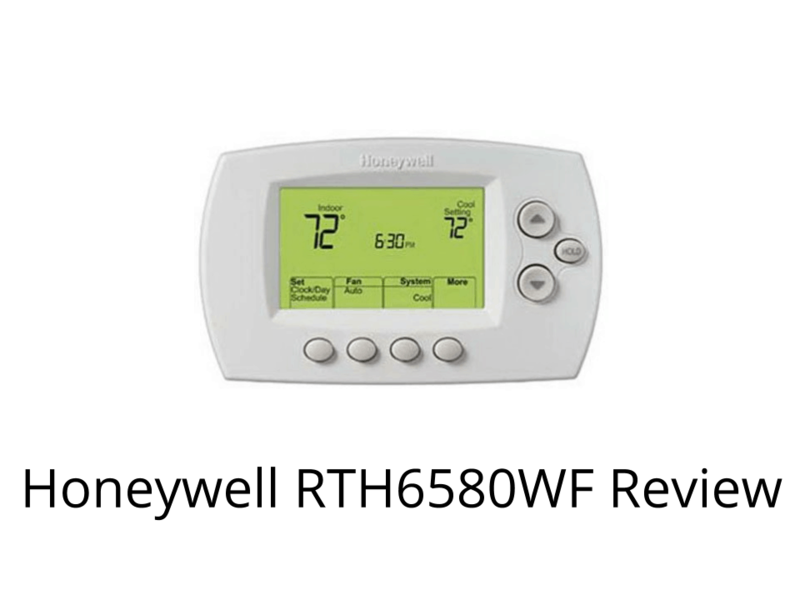 The top thermostats will also allow a user to connect with their device via an online account. This adds extra flexibility as it means that Windows or Mac desktops can be used. In order to make a great thermostat even better, get yourself a thermostat that will interact with other smart devices- such as smart lights or smart locks. The ability of devices to work with each other in smart homes, is called home automation. For a device to work with another device, they must be compatible with a specific system. There are a huge number of smart home systems available. The most high profile include; Alexa, Google Home, HomeKit, Wink and SmartThings. All of these systems have a hub or controller that you must have or buy before you set up a smart home system. You want a thermostat that has a full colour touchscreen. Color screens are easier to use and read- besides, they look nicer in modern homes. 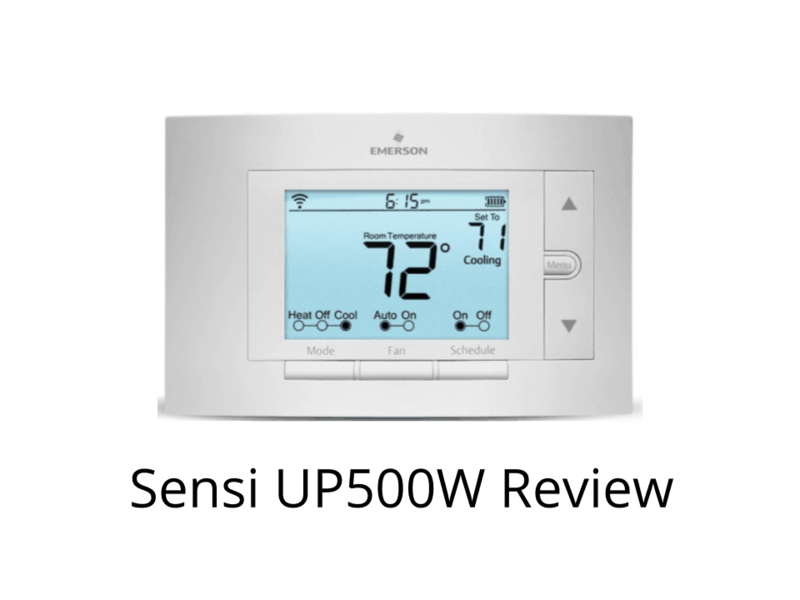 The advantage of a touchscreen is that we are used to have them on our phones and our tablets and so why not on our thermostats. Besides devices that have touch screens don’t have ugly buttons cluttering up the display. Another important screen related feature is that your beautiful screen should have a dim function (so that after a short period of inactivity) the screen turns off and a proximity sensor so that as you approach it, the screen lights up in all of its full color goodness. I would not say that this is an essential feature of a thermostat but it adds a bit of “eye candy”. A downside of these beautiful looking gadgets is that compared to previous generations of thermostat, modern thermostats are power hungry. Their big, glossy screens and need to have a constant connection to the house’s WiFi means that they need a dedicated power supply. This wire is called the “c” or “common” wire and most modern HVAC systems that have more than 4 wires will have a c wire. Unfortunately, because there is no standard coloring for HVAC wiring, a c wire cannot be identified by a particular color. Instead, you will need to have a look at what wires are connected to what terminals in your existing thermostat. If there is a “c” terminal that doesn’t have a wire connected, don’t panic as there are alternatives. There are good smart thermostats that don’t need to be powered by a c wire. Do you want to hear a shocking fact? 90% of homeowners in the US have admitted that they don’t program their thermostats. Smart thermostats are just the newest version of programmable thermostats. Programmable thermostats which were introduced to help people save energy and money by being able to decide when their HVAC systems should be on and off and to decide an set temperature that they want in their house. And so to make sure that you are not part of that shocking statistic, get a thermostat that makes setting up a schedule easy either by using the thermostat, an app or an online account. This ingenious features allows you to use your phone as an on/ off “switch” for your thermostat. As long as your phone has your thermostat app on it, is switched on and is with you, it can switch your thermostat off after you leave home or switch it back on as you are coming home. In order for this feature to work, a electronic boundary (or geofence) needs to be created somewhere in your neighbourhood, within the app. When your cross this boundary, your thermostat is switch off or switched on depending on whether you are leaving or coming home. Yet another power feature of the very best smart thermostats is when they track how much energy you use and when. This can be incredibly useful if you are interested in saving more money and energy because you can look at your usage and see if there are times during the week when you could use less energy. These statistics will be available for you to look at in the app or via an online account whenever you like. Additionally, you might opt to receive a monthly report. Because smart thermostats are connected to the Internet, they can receive and display a weather forecast that is focused on your Zip code. These are normally 7 day forecasts that are displayed on your thermostat. Multi stage systems are another energy saving feature of a thermostat. Multiple levels of heating or cooling are used to make sure that as little energy as possible is wasted and just enough energy is used in getting your home to the correct temperature. Multiple stage system work in the same way that dimmer switches do to control the brightness of lights. Just as once upon a time the only option to control a light was an on/ off switch, so it was with heating systems- they used to just be on/ off systems. Most smart thermostats work with at least 2 stages of heating and cooling when they are used in a conventional system and 3 stages of heating and 2 cooling when they are used on heat pump powered systems. Make sure that your smart thermostat can work with any HVAC accessories that you might have. Common accessories include humidifiers and dehumidifiers. Top manufacturers are constantly developing their products in order to make them smarter. One of the biggest innovations in smart thermostats are room sensors. These are small plastic buttons that are placed in different locations around a home or office. The sensors tend to monitor the temperature and motion in a location. They connect wirelessly with a smart thermostat informing it about the temperature in the room and if the room is occupied. Room sensors are set to solve one of the biggest weaknesses of thermostats. Thermostats control the temperature for a whole house or office space but they only accurately know what the temperature is in the space immediately around them. Such a limitation means that a thermostat might be using too much energy and making parts of the rest of the house too warm (if it is located in a cold spot) or leaving large parts of the house too cold because the thermostat is located in a “warm” spot in the house. Using room sensors, can reduce these errors because the thermostat has a much better idea of an average temperature in a house and run more efficiently.